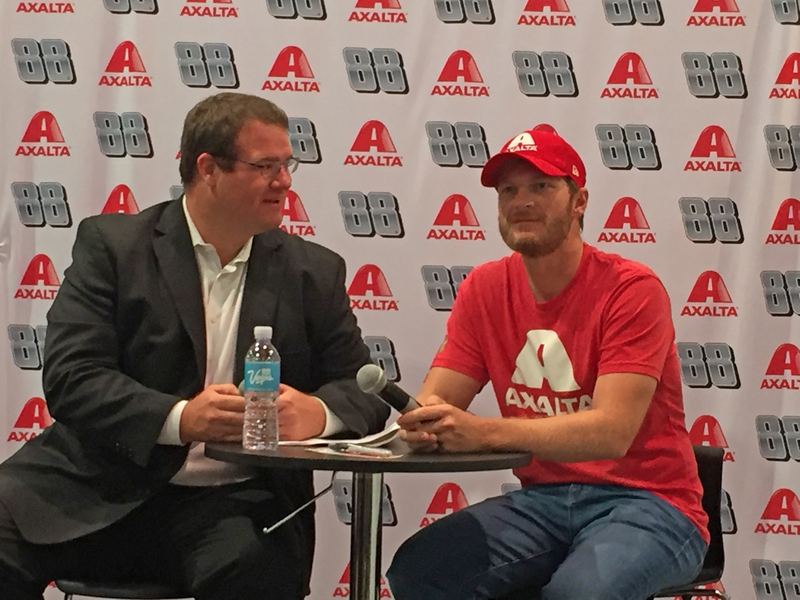 AWFS attendees listen as William Sturgill, Axalta’s director of North American Motorsports, interviews Dale Earnhardt Jr. about racing, retirement and of course, finishing. LAS VEGAS – Axalta Coating Systems marked its debut into the woodworking industry this week with an exhibit at the biennial AWFS Woodworking Fair, including a special guest appearance by NASCAR champion Dale Earnhardt Jr.
“We’re seeing a nice trend upward with new construction and remodeling,” he said, adding that the related markets of furniture, cabinetry and fixtures are also trending well. In addition to its wood finish offerings, Axalta is a leading global supplier of liquid and powder coatings for a diverse range of customers in the automotive and commercial vehicle markets, as well as industrial segments including electric motors, buildings and pipelines. 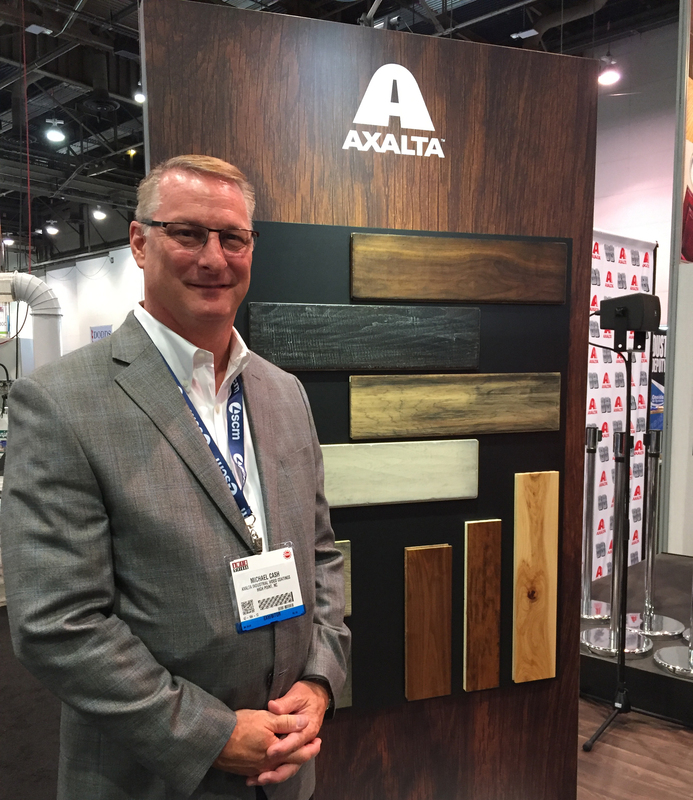 At AWFS Fair, Axalta is presenting new additions to its wood coatings portfolio, including a reformulated, low-odor, Zenith waterborne finish. The company is also introducing Ultraguard Low Formaldehyde Conversion Varnish, which it says contains 75 percent less formaldehyde than traditional formulations, with the durability, clarity, and appearance of conventional varnishes. AWFS also presents “a great opportunity” for Axalta to meet with customers in one location, and discover how the company can “make a difference in their businesses,” Cash said. Axalta will also be at Woodworking Machinery & Supply Expo, WMS 2017, November 2-4 in Toronto, in Booth 1059.